Herron Todd White's national property clock for October 2018 shows house prices in Queensland's regional towns are in recovery mode. The average house price in Clermont, southwest of Mackay, has risen more than 42 per cent in the past year to $270,000 - albeit from a very low base. House prices in Moranbah, in Mackay's hinterland, have jumped nearly 15 per cent in the past year. 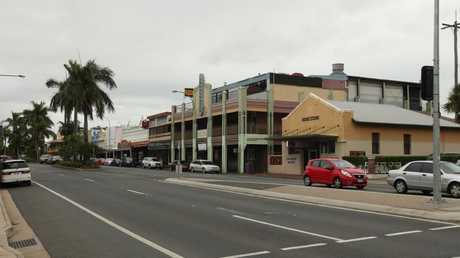 A surge in coal prices is benefiting regional Queensland towns that benefit from the mining industry. "This market is benefiting from a jobs boom in the region and currently has the lowest unemployment rate in the state," Ms Mercorella said. "Jobs are bringing people back to Mackay and as a result, the rental market is also tight, at just 1.9 per cent." 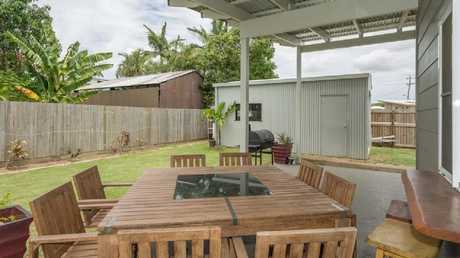 This townhouse at 2/28 Malcomson St, North Mackay, sold for $305,000. 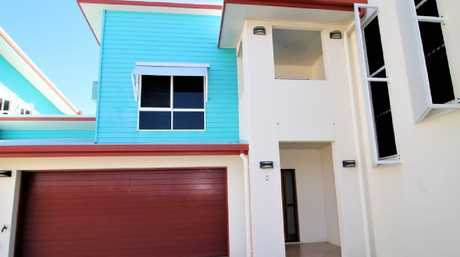 "Those who purchased during the last boom mostly still owe more than their house is worth, or haven't quite got back to a position of building equity, however the market is on the rise and there is light at the end of the tunnel for these owners," the report said. "For so many years, renovating your property in Gladstone was a pointless exercise as any money spent would be lost as the market continued to decline," the report said. "Now that the market has turned the corner, we have started to see more renovation work taking place. "Most of this work appears to be on properties that were purchased in the past 18 months at bottom of the market pricing." This house at 61 Surveyor Plc, Beecher, sold for $430,000. 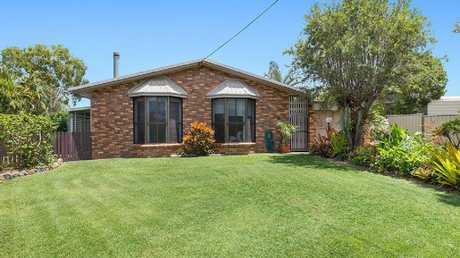 This house at 13 Pillich St, Kawana, sold for $367,000. According to the REIQ, Townsville's house price fell 3.3 per cent over the year to June to an annual median of $324,000, but local agents are reporting considerable activity with transfers coming into town. "Even though the market is picking up, we're still selling at a loss," Mrs Susdorf said. "We did have it on the market for $400,000, but we weren't getting any inquiries. "That ($360,000) is where the market is sitting at the moment in our area." 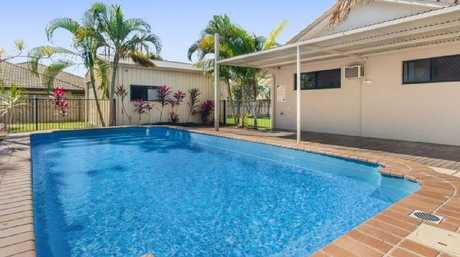 This house at 8 Jennifer Court, Bucasia, Mackay, is for sale. "There's very little under $300,000 now," Mr Tippett said. 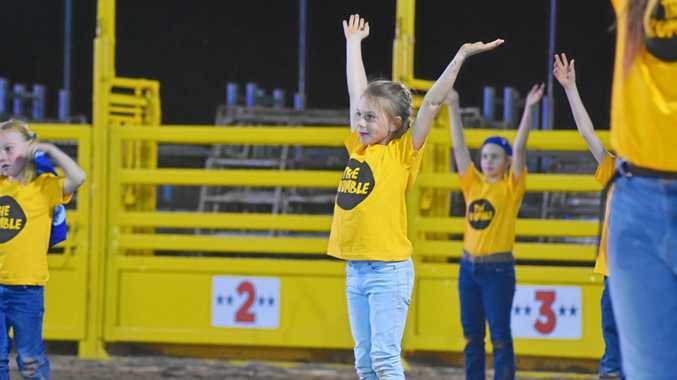 "There's stronger confidence in the market, the mining sector is picking up, more businesses are opening up in town and people are moving back to Mackay. "People are relocating here because they're sick of Sydney," he said. 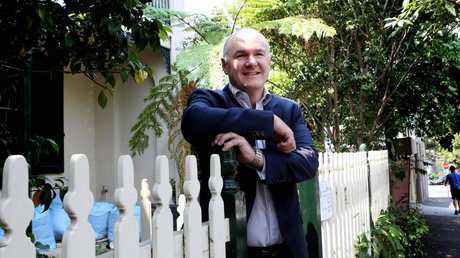 "We haven't seen a huge price jump just yet, but a greater volume of properties are selling," Mr Chick said. "I think there are a lot more positives now than even in the boom for longevity in the property market. "People are making appointments to look at houses who had left the area and people from down south are starting to look up here from a work perspective. "The only thing probably holding us back is people being worried about what happened four years ago, but I think we're in a better position now for steady growth rather than another boom." Paul Bryan, director of Mackay real estate agent Penny Wood Lane, said it wasn't uncommon a year ago for landlords to struggle to find a tenant within eight months, but now he was fielding multiple applications for rental properties and significant jumps in rent. 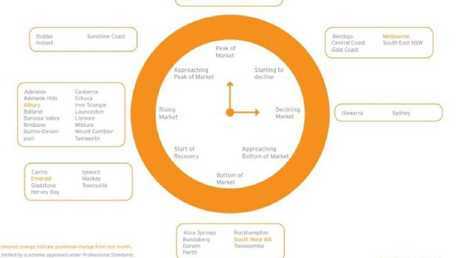 "I definitely think the market's transitioning," Mr Bryan said. "But buyers, in my opinion, are still anchored to the prices at the bottom of the market, which I think we've passed now. "Locals are still hovering over the 'go' button and if they see a good deal they'll jump on it." 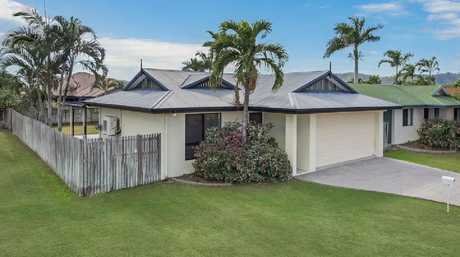 Demand for housing is surging in Mackay. Picture: Rob Maccoll. "This is the first spring where we've seen a lot more confidence … since 2012," he said. 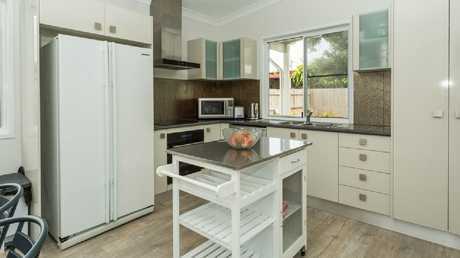 "Prices are still quite low - there's some really affordable property in Mackay, especially in the unit sector." "Going back eight years ago, you could buy four walls and a roof anywhere and you'd do well," he said. "Now, you've got to be a bit careful. "I think that's why people are hovering over the 'go' button, but I think next year will be the year." "Coming into 2019, markets like Mackay should start to see some growth, we expect Toowoomba to move back into positive growth and Cairns to see a bounce higher," Mr Lawless said. 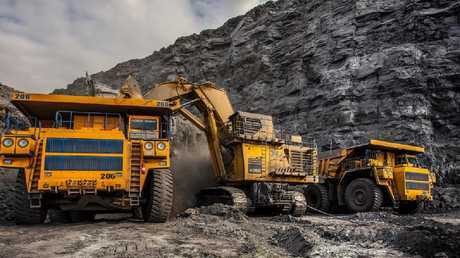 "Many of these mining towns have seen values fall 30 to 50 per cent, so it's overdue that we see values rising again. "Anyone who owns property in those areas will be very happy with this recovery - especially if they bought in the peak around 2014." "The REIQ has lobbied the government long and hard for the first-home buyers grant to be broadened to existing properties in regional Queensland," she said. "It is our strong conviction that this would give some of those house markets a much-needed boost as young people and first time buyers, who are struggling to save a deposit, are given that important leg up to home ownership. Importantly, these markets do not need additional supply. You can already buy an established house in these areas for less than it costs to build." 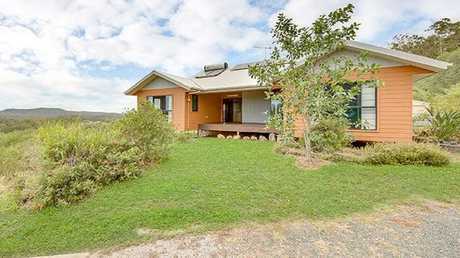 This house at 1 Santa Fe Way, Kirwan, sold for $275,000. "Investors should always keep in mind that regional towns can be far more volatile in terms of prices, so timing is paramount," Mr Christopher said. "Don't put all your eggs in one basket," he said. "Don't make it your first investment; make it your fourth or fifth." 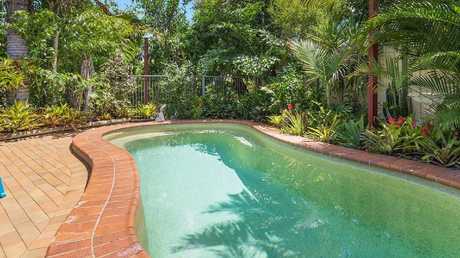 The pool at the house at 13 Pillich St, Kawana. This house at 219 Freshwater Dr, Douglas, sold for $415,000.